On March 25th, we celebrate 60 years of the Treaty of Rome, the founding text of the European Union. On this anniversary, those we call the « Eurosceptics « shout « When do we retreat ? » And since Brexit passed, other voices are barely audible. In 2017, it is difficult to say anything positive about the European Union without receiving a round of sharp criticism. There are many explanations, but the reason is simple: Europe has distanced itself considerably from its citizens who see in her only a distant illusion or an obstructing wall. On the occasion of the French presidential election, the European question has, nevertheless, intruded into the debate. This major question rings out like the preface of a new book : What kind of Europe do we want for the future ? Embroiled in scandals, his five European priorities are barely audible. For all that, François Fillon has put forward his desire for a policy on energy and a border policy. In favor of a common « policy of defense and security », the Republican candidate intends to radically change the institutional code. « This would ring in the end of a European Union of 28 countries with a Parliament and a Commission which are the tools for the construction of a federal system, » he says. The refounding of Europe from the bottom up ignored by the candidates ? Faced with a scepticism which has been rising for the past decade, it’s time for a candidate to bring Europe closer to its citizens. More than Europe, or a French-German relationship, it’s true European democracy that is essential to promote. And it needs to be said that the entry, even late, of the European question into the electoral debate is good news. For it is unthinkable to project a « desirable future » on France without thinking of its ties to Europe and to the world. In these violent times, the raison d’être of Europe, constructing lasting peace, is more newsworthy than ever. « The place of European citizenship needs to be strengthened », concludes Séverine Lenglet. « Ideas such as the creation of true European parties and encouraging the development of a public European sphere must emerge. 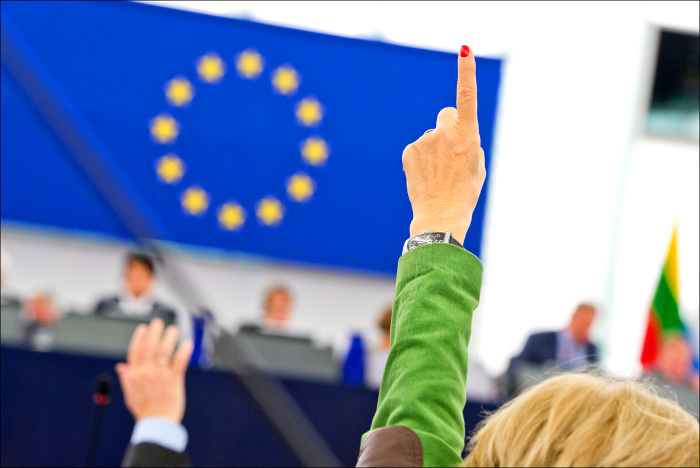 » It is easily verifiable that the propositions brought forth by citizen collectives such as Citizens for Europe are in total discrepancy with those of the candidates. Refounding from the bottom up seems simply to be side-lined. It is up to the future President to show that Europe is nevertheless not ready to be sent into retirement, but instead reflects the ambitions of European populations and strengthens the construction of our national and shared future on the continent, as well as in the world. The future President must be the initiator of a new legitimate democratic governance for France and Europe.